Why are people so surprised? Aren’t most gimmicky business models uncovered at some point? Let’s see… we have had the jet cards and the fractional programs and, most recently, the Uber of private jets and yet none of them are doing particularly well – if they are doing at all! Since when were businesses in business solely for the benefit of their patrons – with no regard for turning a profit? OK! We all know that doesn’t exist so why would anyone think these programs could possibly be such a great offering to you, the customer? The bottom line is that we all have been taught, at some point – either in business or through advanced education, that great businesses are innovative. There is definitely truth to that; however, in a service industry that caters to particularly discerning customers, we find safety and customer service generally trump innovation. On-demand, private jet charter works for who it is intended to work for. It isn’t intended to work for everyone – plain and simple! Often times, some hopeful (often with little or no aviation experience) comes up with a get rich idea, secures funding, and hires great sales people who convince customers why their program is so amazing by appealing to their ego and emotions. It is no wonder that, publicly traded, Avantair left 600+ fractional owners grounded due to funding issues. Now, just two weeks ago, FlexJet/Flight Options moved forward with an offer of voluntary separation packages as part of their transition to an on-demand charter business and now, yesterday, Blackjet abruptly ceased operations. What happens to all the customers who paid for memberships? I can only guess they sold them by emphasizing their ties to celebrities like Ashton Kutchner, Jay Z, and Will Smith. We really shouldn’t be surprised. Nonetheless, let us again explore why the various programs are eventually exposed and, ultimately, fail. Let’s look at two scenarios. The first, a light jet program in a Nextant, costs about $325,000 for 50 hours. In addition to the primary pricing there are monthly management fees and a per-hour fee for each hour flown. For 50 hours, that runs about an additional $185,000. When you divide that by 50 hours you ultimately pay $10,200 per flight hour. 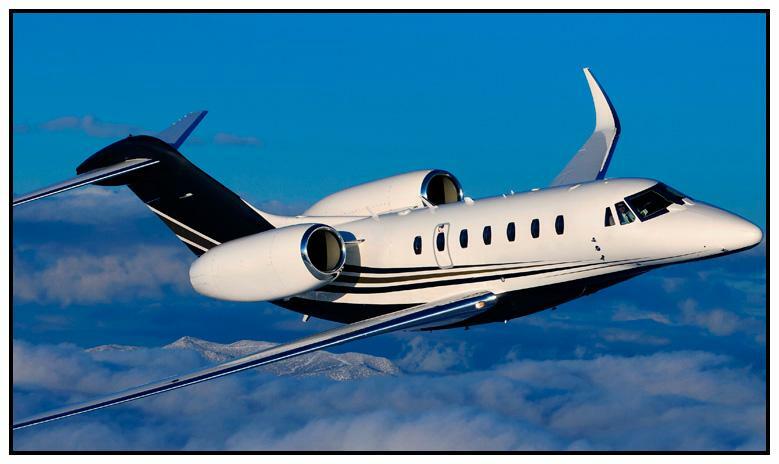 If you are paying that rate with a charter company (for on-demand charter) for a comparable aircraft, you should really re-visit who you are doing business with. The all-in cost per hour for the Nextant, including all fees and taxes (except catering), should be about half of that. Second scenario, a heavy jet (Gulfstream 550), is about $3 million for the same 50-hour per year program but based on 5 years (a total of 250 hours). Flying 50 hours each year, you end up paying an additional $416,000 per year for the management fees and per-hour charge (still not including fuel surcharges and federal taxes). That breaks down to roughly $21,984 per flight hour before taxes and fuel surcharges – HOW IS THAT SUCH A GREAT DEAL? While these prices include Federal Excise Taxes (currently at a rate of 7.5%), taxi time is billed at 12 minutes per leg (in addition to flight time). Bermuda, Caribbean and Mexico flights incur a 10% premium charge on the hourly rate. Catering, ground transportation, and international fees are billed separately, and peak travel days also incur a surcharge of 5%. The ultimate result is that it is not a more cost-effective option than traditional charter and, in most-cases, their back office operations aren’t really much different, if at all, than a traditional charter operation. In fact, most jet card programs source supplemental lift from the exact same FAA Part 135 operators as any other charter company (management companies and brokers both). The bottom line is that you have to find the best option for who you choose to work with; a company who can meet your needs and provide exceptional service without regard for whether or not they are a big name brand and/or offering all the gimmicky programs that aren’t likely in your best interest anyhow. Really? This program was backed by well-known celebrities and originally founded by Uber co-founder and chairman Garret Camp – who pulled out after a previous service suspension; giving up his entire investment! The idea was to ultimately settle in as a per-seat cost model that charged an annual fee (in addition to the cost per seat). They aren’t the only company offering this service. It probably will take off eventually and will probably work for many; however, it isn’t the same as a true private jet experience and we simply aren’t interested in compromising quality in an effort to attract the masses. Before we close, let us not neglect to address one of the primary selling points, as we know it, for most of these programs – the one-way pricing structure! In all fairness, there was a time (more than ten years ago) that the pricing of one-way flight itineraries was quite unattractive in traditional, on-demand, charter operations. That has evolved considerably. If you are working with someone who isn’t investing considerable effort into finding you one-way options when they are a more appropriate fit then you should really consider exploring alternate (or additional) service providers who will take your best interest into consideration. You really want a company who will match your needs to the most appropriate option for you; without regard only for what is most profitable for them. When do empty legs and one-way opportunities become most practical? In most aircraft, a two hour per day flight hour minimum is imposed. If you are flying from San Francisco to Los Angeles for business, and plan to stay overnight, your itinerary spans two days. This would typically result in a minimum of four flight hours being charged but we know that the flight time from San Francisco to Los Angeles and back is not four hours. This scenario is indicative of when two one-way flights become most cost-effective. Considering these are both high-density city pairs, a charter coordinator who is taking your best interest into consideration, should invest the extra effort into matching your needs with appropriate availability within the industry. If they are only offering you a plane within their own fleet that results in the greatest revenue for their company, it may be time to shop around to see if they are truly the best company for you to give your business to. Don’t forget to let any charter coordinator you work with know your preferences. Do you prefer newer aircraft? What are your requirements for newness? Year 2000 or newer? Year 2005 or newer? Are you partial to a particular model? Do you or someone in your party have special needs? Excessive luggage? Any company who is service oriented and committed to their customers, as we are, will most definitely go to extremes to please you; after all, private jets aren’t for everyone or else all these gimmicky fad companies wouldn’t keep dropping like flies!